to all ye* P’kaboo followers, authors, readers, doers and friends. As a Christmas discount for our readers, particularly ebook lovers (because of the convenience, the light-weight, the take-it-anywhere, you know…), we’re giving deep discounts on many of our Smashwords books. 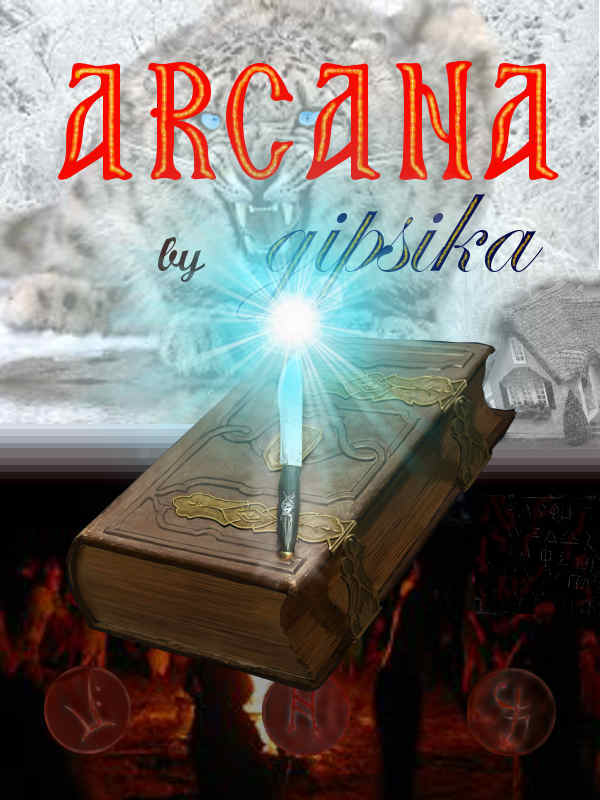 This puts all the included books in the under $2 category – for a week, around Christmas, from 25Dec – 1 Jan.
Two of the books are absolutely free during this time; the SS100 books, Mercury Silver and Arcana. So, I don’t feel entirely qualified yet to write on this topic, in fact the more I read and study it, and process it, the more there is to learn. But it ties in with what I have been learning and investigating for many years now, formally and informally. Still, this is important. It probably affects every person alive who has ever been a child. Your self-image hinges on self-talk, and your self-talk consists of words. What do you tell yourself when you’re talking to yourself? How can some people strike out and do things others consider scary? It’s all in what they tell themselves about themselves. And that gets laid down, as you know, early in life. In childhood; in young adulthood. The voice you hear in your head, the one that tells you “you’re fat” when you look in the mirror? It’s your own voice. But it wasn’t always. Long ago, possibly before you can even remember, an adult told you these things. An adult you trusted. A parent perhaps; or a beloved aunt, uncle, grandparent or teacher. As a child you firmly believed that adults are always right, they are “grown up”, they know everything. You may have known that they don’t always agree, but when speaking to you, they were firm, sure of what they were saying… so you took it and made it your own. And now it has become yourself rehashing to yourself what you were told, and many things you were not told, that you found all by yourself in the meantime. And because you yourself are saying it, it must be true, right? Here’s the key. It doesn’t matter who told you the vile things you believe of yourself. It really doesn’t matter. Because if it was someone you loved, you love them all the same. Maybe it was many adults. Maybe it was every adult you ever interacted with. It doesn’t matter; because of two things. Firstly, though they were blunt, at the time these words may have been valid criticisms you needed to hear. “We need to look into your diet, Lindsey, you’re getting a little fat.” They were never meant to be permanent! Or they may have been called out in frustration: “You forgot your keys? Are you stupid?” Oh my hat! There’s that S-word! Everyone was bandying it around. Secondly: It is your own responsibility if you went and made them your own! Are you still walking around in someone else’s discarded shoes? These “power words” that stick to you like gum on a shoe – how to get rid of them from your head? I looked at it, over, and over, and over, scratching my head. For years, for over two decades, I’ve been feeding and clothing my children, providing them with shelter, education and health care and so much more! What sense does this fear make, at all? And I drilled deeper, and found to my bass surprise (you may imagine a fish blowing bubbles) that it was not my fear! It didn’t sound like my voice! Oh, I heard many voices… many caring, concerned, worried voices, friends, bosses, colleagues, family, all dating back to pivotal times in my life when I made big changes… had a baby… changed jobs… left a job in favour of joining my husband in the music studio… but, not my own or my husbands voices in there! So the key fear on which many of my financial decisions were made was not even my own! Fun story, but what’s the conclusion? Words have power. A criticism is like a spell someone spoke over you. There are three things you need to do if you want to be free of these words that limit you. Step 1: Confront your “voice in your head”. Just because someone else thought you’re going to be a loser if you ever quit that job, doesn’t mean you have to obey them! Write your own definition of who you really are and want to be (and choose to be). Write it down and say it out loud, because the written word has power and so does the spoken word. Don’t allow any further weeds into your mind. A great read by a dynamic author. Thank you, Col, for pulling off the South African end of this project! Towards the end of last year I was involved in looking at the proofs of ‘Split Decision’ as I mentioned at the time. The water running under that bridge ran into a few obstructions, and it is only this week that the flow has been completely cleared. Thus, South African readers now have the pleasure of knowing that prints in this country are live and running. In the latest review (one by UK radio, TV and sports personality Jack Woodward) it says, ‘In fact, reading Split Decision is the best decision you can make.’ Just what I stated last year! So what are you waiting for? In the interests of public health and safety, though, I am wondering whether to include a complimentary box of tranquilizers with each copy, bearing the instruction ‘TAKE TWO BEFORE OPENING COVER’. Nerves, heartbeat and fingernails all tend to take a hammering. All this study into psychology, and reflection on our lives, had to be good for something. So today, things in the chemical kettle that’s my brain (bubble bubble and so on) combined to create a minor explosion. I can’t wait until Friday before posting it. Now, from what I’ve been gathering (collecting, as in), commonalities emerge between pop psychology, bio-psychology, and what is known today out of brain physiology. Same concepts, different words. Neurophysiology is actually confirming what people like Freud hypothesized. There are various areas in our old thinker that have been identified to do specific things. Let’s start with the most primitive part. I call it the “croc brain”; a lovely online mentor calls it the “critter brain” and a psychologist I heard recently calls it the “old brain”. It would map very nicely, in Freudian psychology, onto his concept of the “Id”. The point is, it is located at the back, near the brain stem which is responsible for functions like breathing, heartbeat etc; near the cerebellum (the motor brain). The “croc brain” is the oldest part of our brain (on an evolutionary scale) and it is responsible for our survival. Our creative brains would partially still tie in with Freud’s “Ego”, but where we start thinking of spiritual or creative things, it is closer to the “Superego”. So here is how they cooperate. In a less ideal environment, a child goes into the water (under supervision of the swimming teacher that ought to have been locked up), trying to learn to swim. And the teacher tries to cajole the child into putting its nose under water, and the child refuses, and the teacher pushes the child’s face into the water. What happens? The croc brain panics. The child screams, inhales water; the teacher panics and lets go; the child scrambles out of the water and the croc brain vows never to set foot in a pool again! The croc brain registers: That way lies death. We don’t go there. It takes immense bravery for a child who has been damaged that way, to step out and learn to swim anyway. Your croc brain, your Id, will rate everything “survivable” that didn’t cut too close to the abyss. This includes having survived a parachute jump; or living through an armed robbery in which the criminals focused on the loot rather than on killing people. It also includes close shaves you have while cycling, or (hope this is not you) texting while driving. And the forsaken, blasted Id will stick these experiences, alongside more everyday stuff like your job, into a catch-all folder known as your Comfort Zone. Under “not worth changing our routines over – tolerable unpleasantnesses”. Your Croc Brain and your Reactive Brain, your Id and your Ego, are conspiring to kill you! And they are doing it via Comfort Zone. Long-term, softly. And worse: They are doing it under pretext of keeping you alive!! Now think of the last time you had a really good idea. Something that was potentially going to make a lot of money, or be a lot of fun. And your comfort zone, along with a whole lot of nay-sayers in your circles who were also only listening to their own comfort zones and projecting them onto you, pulled you back from it. Or, more tragically: Having a bad habit (for instance, not eating healthily) over many years, but your Id and Ego will work together to keep you doing it, because you don’t feel bad right now, so… the effort of changing the habit is, in the calculations of Id, larger than the risk of keeping it the same. This is why new habits are so hard to learn, and old ones so hard to get rid of. Your Id and your Ego are your enemies in this. Your Superego (your Higher Self) is your best friend and you shouldn’t listen to the others! Is it your Higher Self trying to rescue you? Trying to break you out of your lethal comfort zone? Act on it! And if your Id panics and tries to persuade your Ego to stop you – go and read up on people who were successful doing what you are dreaming of doing. Because, they survived! In fact they thrived. And, haha, with a JuJitsu trick, they turned the Id against itself and made the successful idea into a comfort habit! So there, Id, take that!